Orange and blue colors the sky over the Kawuneeche Valley on the west side of Rocky Mountain National Park. 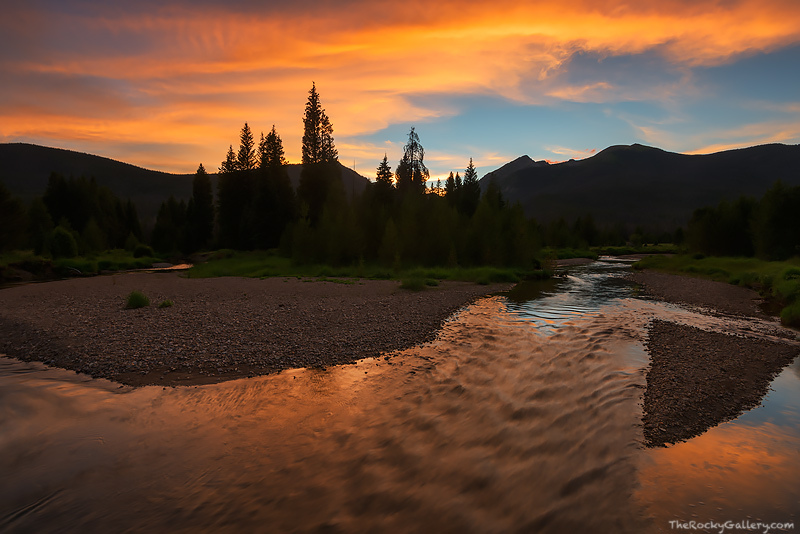 The Colorado River reflects the beautiful sunrise as it rolls along, only a few miles downstream from its headwaters. The backdrop of Baker Mountain is sillhoueted by the sunset as another spectacular summer day in Rocky Mountain National Park draws to a close. Photo © copyright by Thomas Mangan.